The MiniPro USB 3.1, eSATA 6Gb/s bus-powered portable drive incorporates a high-performance Solid State Drive (SSD) built with synchronous NAND flash for optimum performance and reliability. The rugged aluminum housing provides protection from impact and drops, while acting as a heat-sink for passive, silent cooling. No moving parts inside the SSD allows for ultra-silent operation - excellent for quiet environments. 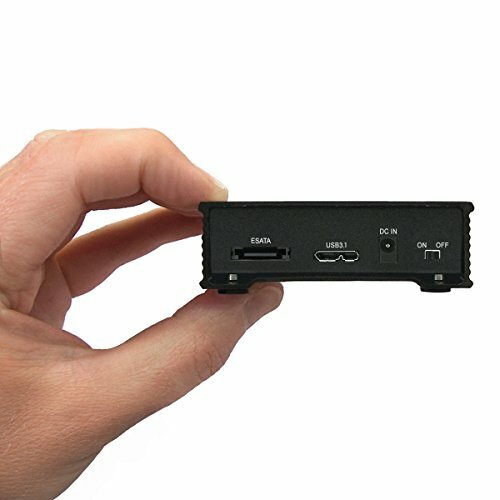 Powered by the USB bus or included power adapter, the MiniPro is capable of speeds of over 450MB/s when connected to a USB 3.1 port. Finally, the MiniPro includes a 3 year warranty provided by Oyen Digital.